As I pulled up to the South jetty I looked over to the north and saw Perry rigging up and getting ready to fish. I made my way down the Jetty and instantly saw spanish mackerel working glass minnows. After an hour or so of catching smacks all alone David Sikes starts walking down the Jetty. I met up with him to see what’s going on. 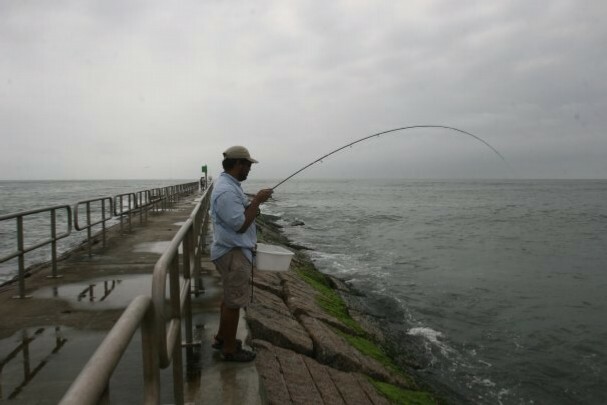 He says that the north jetty was really hot and that Perry had jumped a couple of tarpon and the jacks were pretty thick as well, but it had slowed down and he wanted to try the south. 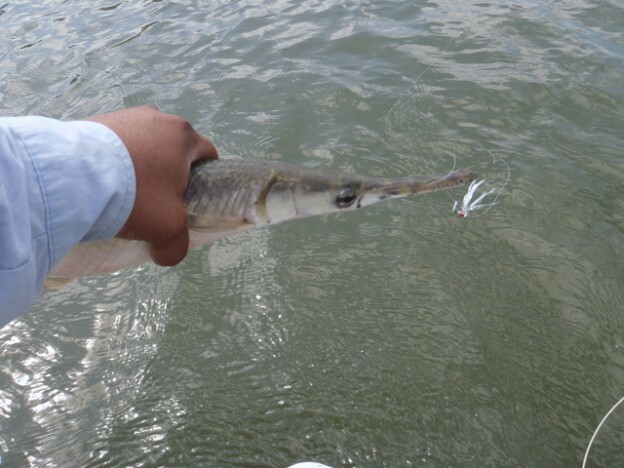 Austin Orr and I went on a gar trip to the Nueces River. 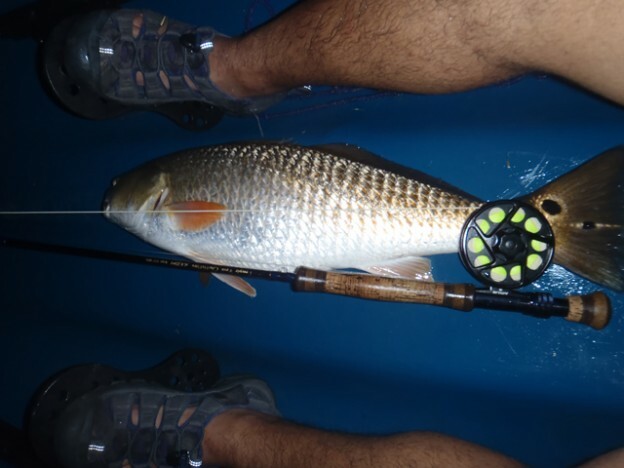 26″ redfish caught on a white cactus clouser. 26″ Trout caught on a tandem rigged clouser. One of the few fish I kept and ate. She was delicious.